I’m no noob when it comes to rodent control. Our last house had rats that loved to take shelter in the basement, including the overhead joists under the main floor (we just loved the sound of gnawing at night!). It was like a rat retirement home — they never came there to eat or to nest...only to die. I must have cleaned a dozen half-rotten corpses out of the insulation in the span of 3-4 years. The worst ones were those who appeared to be alive and still breathing...but it was only the movement of the maggots inside its chest cavity. This is the reality of rodents in your house. Fast forward 5 years and we have a whole new house in a sort of “wild” part of town, up on a mountain plateau with lots of streams and old growth forests around. There was a time when I used to think to myself “Self, YOU are the one invading their territory!” but between property destruction, viruses, and sheer exhaustion over the years, I have developed a zero-tolerance policy on rodents in my home and its immediate perimeter. We fixed an early entry point with metal mesh, which has worked great in that spot for years. I sometimes use my .177 air rifle if possible, but have only scored a few that way — with neighbors all around, finding a good shot and making a clean kill is hard to do. Normally, I use a combination of live traps (where the kids play) and snap traps (out of reach). Either way, they are going to die because I put the live traps inside a garbage bag and gas them with starter fluid. About 10 seconds of consciousness and about 30 seconds of life. If you’re still reading and are now angry with me for this, please note that this advice comes from a neighbor, a retired anesthesiologist, who uses the ether in starter fluid to humanely kill all sorts of trapped pests. It’s actually far better than snap traps, which often grab a limb or a tail, resulting in a slow and painful death by dehydration or predator. 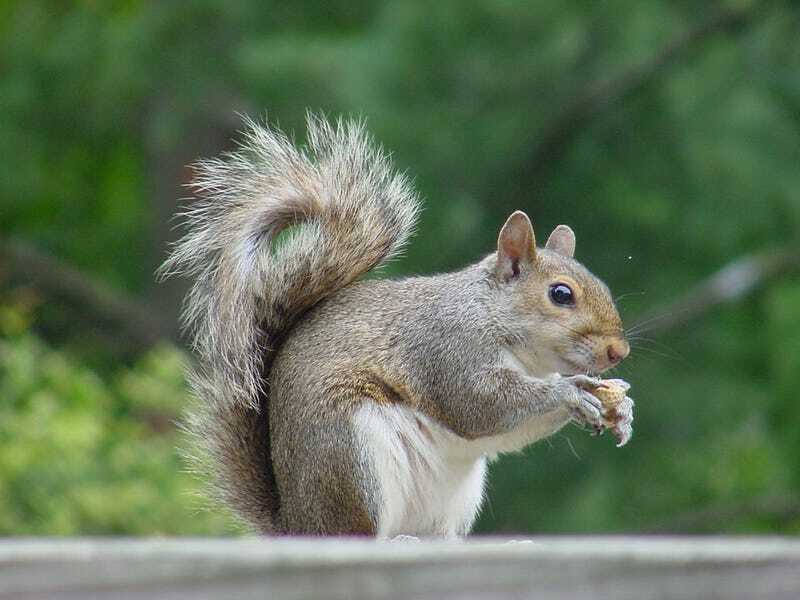 Now that the nighttime temps went from 60 to 25 almost overnight, every morning I hear squirrels milling around between the first and second floor. I have also recently caught a rat on the back porch and found rat crap in my garage storage room (hopefully it was the same, solitary offender). Chipmunks virtually own the perimeter of my house. The population of hawks, snakes, and cats has dwindled, but the rodents are still out in force. “Professionals” in this space are usually pretty sketchy/pricey from my experience, but I’m having my trusty and reliable roofing guy come out and look for intrusions this weekend. So opponauts, I’d love to hear advice on spray repellents, good traps, poisons, plastic owls, or just general commiserations and anecdotes.